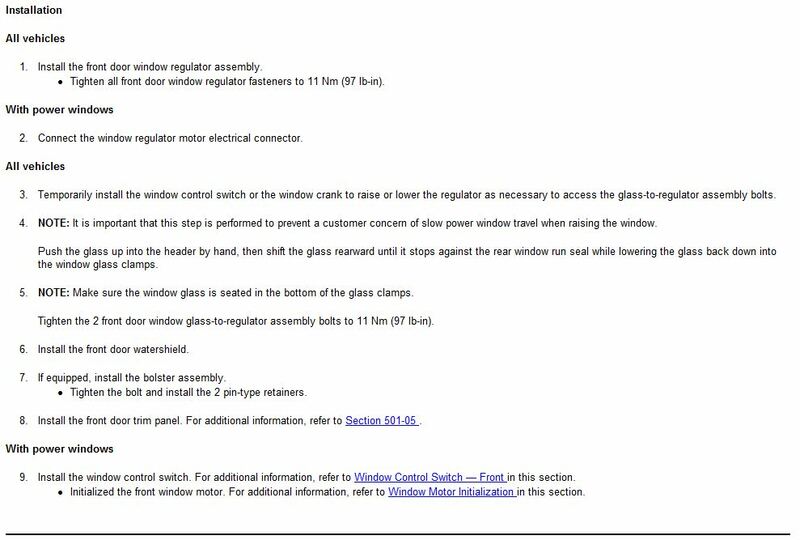 2013 Window Regulator Replacement Directions? My front passenger window regulator cable snapped this weekend. I can find the parts easily but the instructions not so much. I'm going to replace it myself but it's one of the few that I can't seem to find easily on youtube / google. Anyone have a magic link to instructions or better yet, a video? It should be the same regulator for 2009 to 2014. I have found many others but not this one. I can get the panel off, etc... just want to make sure I get the system in there right and properly hooked up to the motor. Bonus: the gummy weather shield sealant? Name/replacement link? If your resuing the old motors you can ignore the initialization mentioned. 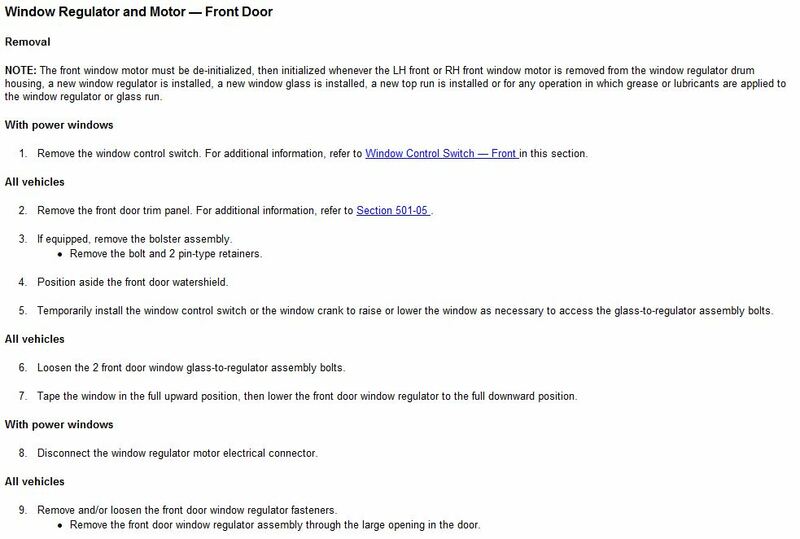 Quick Reply: 2013 Window Regulator Replacement Directions?